Domino’s is stepping up its game in the pizza delivery industry. Earlier this year, in May, the Ann Arbor-based pizza chain started receiving pizza orders via Twitter, by users simply tweeting a pizza emoji. 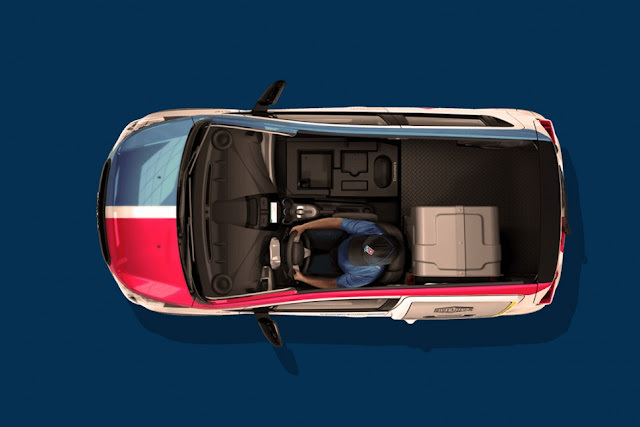 On Wednesday, the company revealed its spanking new pizza delivery car decked out in a blue, red and white livery, to match the brand’s colours, of course. The subcompact car – named after the code used for their delivery personnel, DXP – is a retrofitted Chevy Spark minicar that was stripped of all seats, except the driver’s, and replaced with a warming oven and enough racks for 80 pizzas. A Domino’s North America representative said that this was not just a marketing gimmick: “This is not the Oscar Mayer Wienermobile,” he said, and added, “It’s not a Barbie easy-bake oven.” Rather, the customised vehicle is an attempt to improve the pizza delivery system while giving a boost to the company brand. 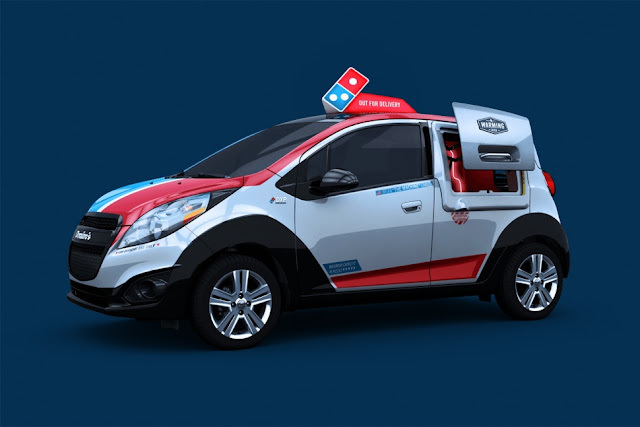 Domino’s had intended to order only 20 of the customised DXP vehicles, but the initial order ran up to 100 units due to demand amongst franchise owners. Each delivery car is estimated to cost between US$20,000 to US$25,000 each, with the Domino’s company bearing the project’s engineering costs, and will soon be delivered to the franchise owners from 25 selected US markets. Chevy dealers will help to service the cars, including the unique features – like the oven – they have been endowed. Beyond the initial order, there is no indication of future sales estimation; considering that Domino’s has 100,000 people delivering pizzas every week, the potential number could be substantial. Executives from the company said that the extent of the project would depend on the interest of franchise owners. 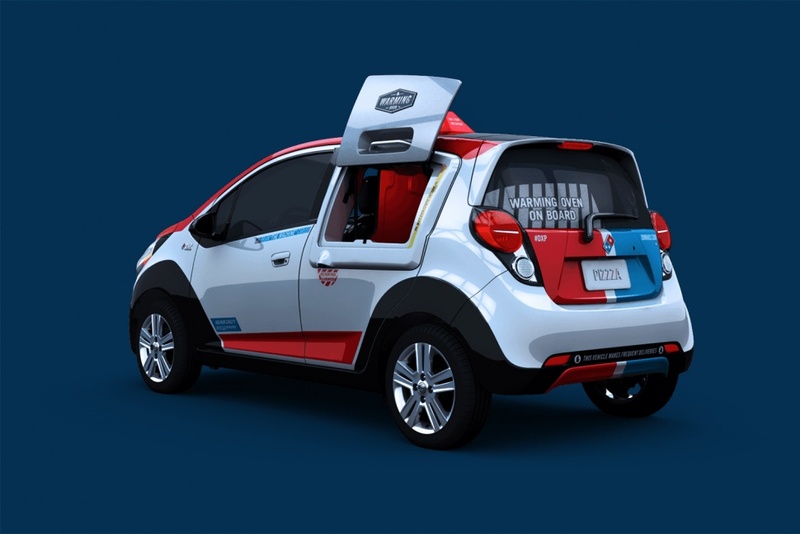 Domino’s had initially considered rolling out a fleet of electric delivery cars, but recharging would take the vehicles temporarily out of service, which would be inefficient, operations-wise. But consider this – in the USA alone, Domino’s delivery drivers collectively cover about 10 million miles a week. That’s a lot of fuel consumed and plenty of CO2 spewed back out. Still, the company has not completely ruled out the use of alternative-powered vehicles in the future. We think that the pizza would taste even better knowing that it didn’t pollute the earth to get to us. It makes us wonder what could be the next advancement in the business of pizza delivery. Drop-off by Drone, perhaps?